To start off a little background information on the brand as it's pretty new to me. Gwdihw is pronounced goody hoo, which it says on the tin for you. 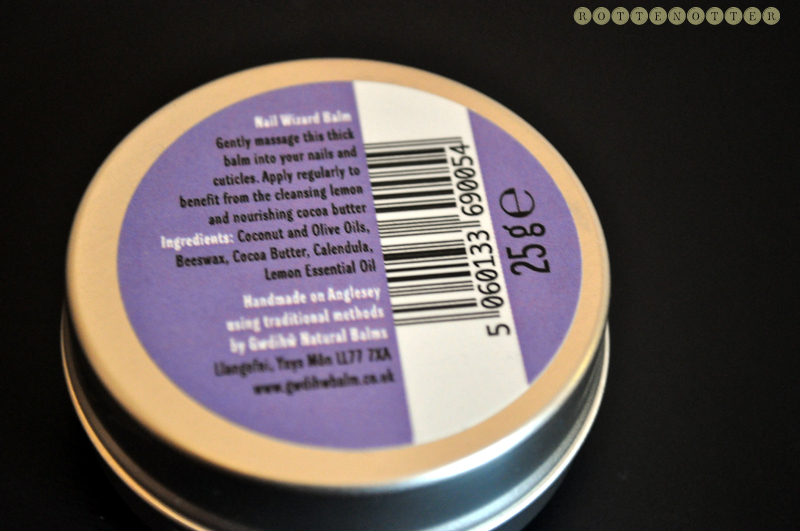 They're a Welsh brand who use locally grown herbs infused in their balms. You can see from the photo below how natural their products are. 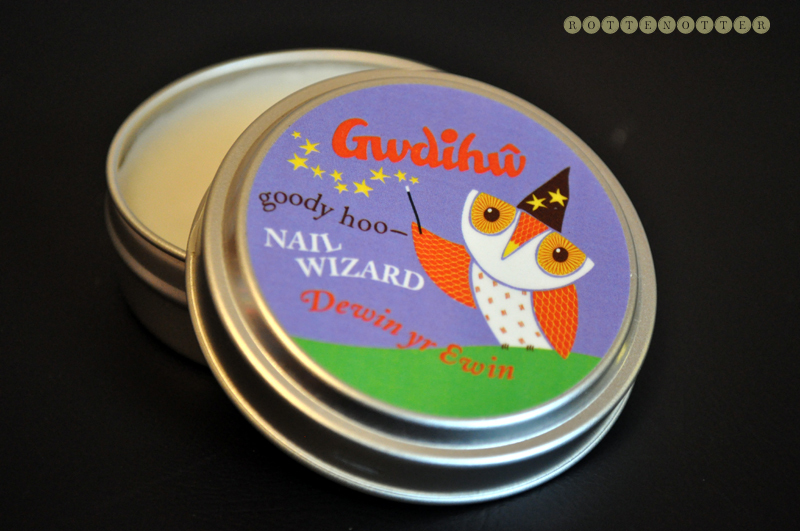 The Nail Wizard balm* is encased in a cute little metal tin which actually opens really easily. This is great as I've always had a problem with metal tins, Lush sample tins - I'm looking at you! It's the perfect product for this time of year, my hands, especially the skin round my nails get really dry and sometimes cracked. My nails tend to peel when I wear nail polish for a long time too. I apply this on my nails each night before I got to bed as it is a bit greasy. This does go away once soaked in though. I also apply this onto my cuticles either when I take nail polish off or applied a new coat. It has a really fresh lemon scent which is lovely. The ingredients list is really impressive, only containing 6 ingredients and each one is natural and good for your skin. It's a pretty decent size too and will last a long time. Overall I'm really impressed with this new brand and I'm looking forward to trying more of their products. They have 13 little tins for pretty much anything you could think of and can be bought from the Mypure website. Edit: Forgot to say how much they are! And they are a bargainous £4.49!